As someone who’s dog regularly drinks out of the toilet bowl, the thought of doing the same makes my stomach turn. But thousands of people pay actual money to do just that. 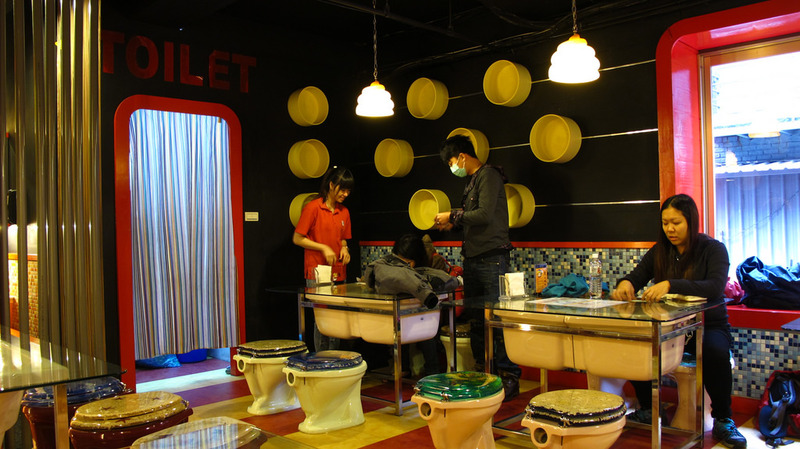 Modern Toilet is a toilet-themed chain restaurant in Taiwan (yes, there’s more than one). It’s just one of the weird and wacky restaurants I found around the world. Others are crazy purely based on location – on top of an active volcano, under a waterfall, even suspended by a crane 50-metres off the ground. Questionable food and safety standards aside, these unique restaurants are worth a visit. Ever scrubbed your toilet so well that you thought “I could probably eat off that”? No, just me? Apparently, a group of friends in Taiwan had a similar thought, only they turned that one gross idea into a hugely successful restaurant chain. 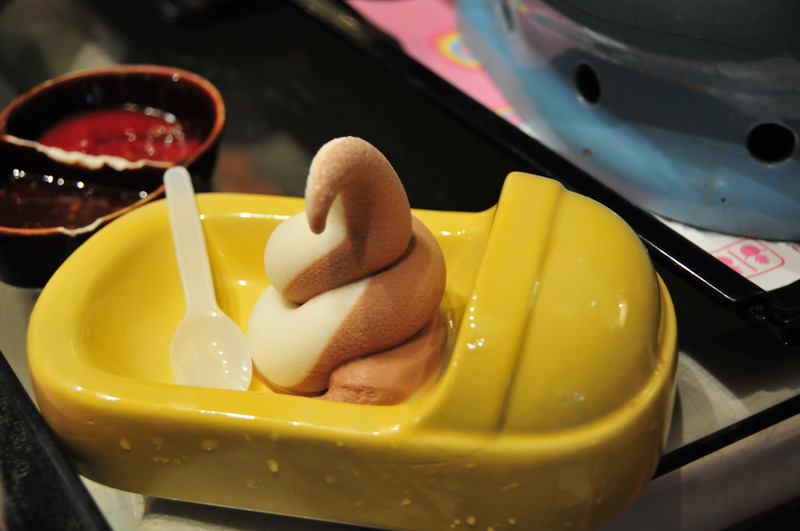 This bizarre toilet-themed restaurant made such an impact that it’s now a multi-franchise phenomenon. 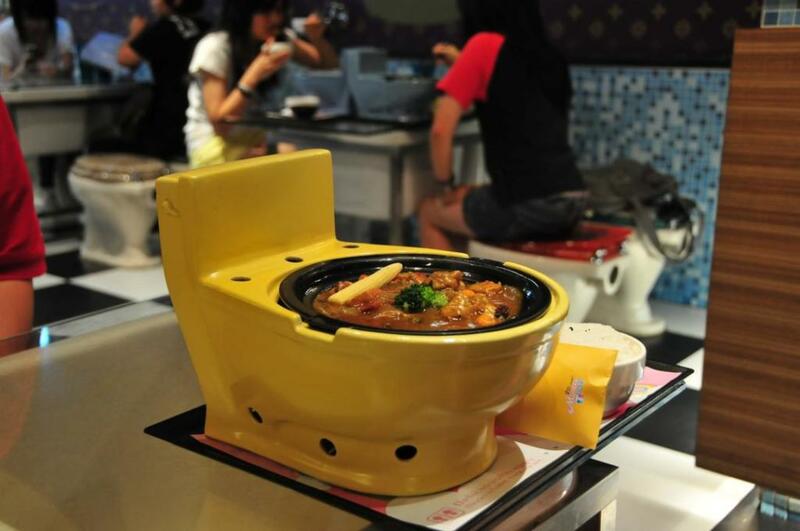 Turns out, a lot of people like eating their food out of a toilet bowl. The furniture and crockery are all toilet-themed. You sit on a toilet, dine at a glass-topped bathtub table and drink from a urine container, but it doesn’t stop there. Some of the food actually resembles bodily excretions too. The chocolate poop-emoji-looking soft serve is one of the more palatable dishes. 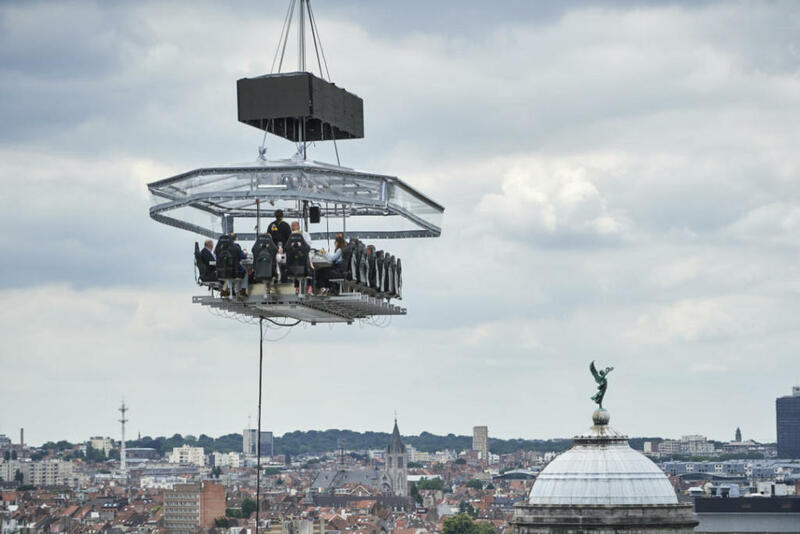 The high-flying concept of Dinner in the Sky was born out of Belgium. Today, it operates in more than 50 countries around the world. 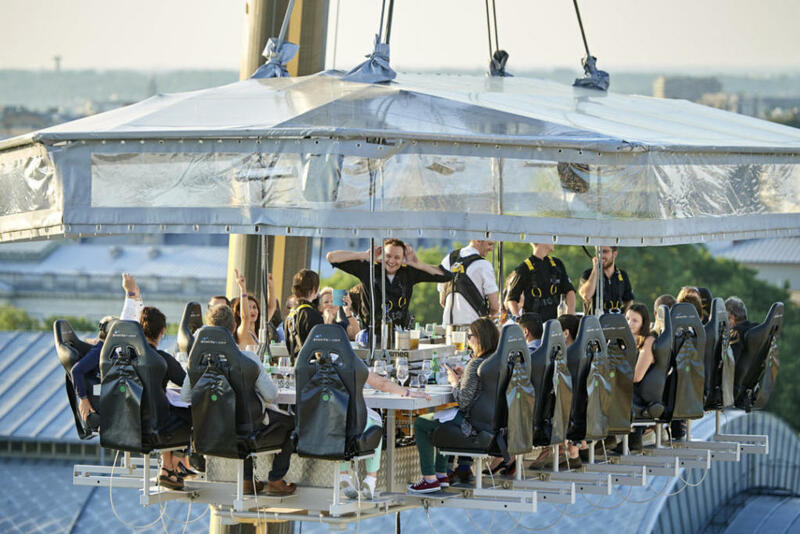 The gist is, 22 brave diners strap into a seat around a table that is suspended 50-metres above the ground. You can book out the whole crane or just buy a seat at the table. You can also join in on one of the themed Events in the Sky. 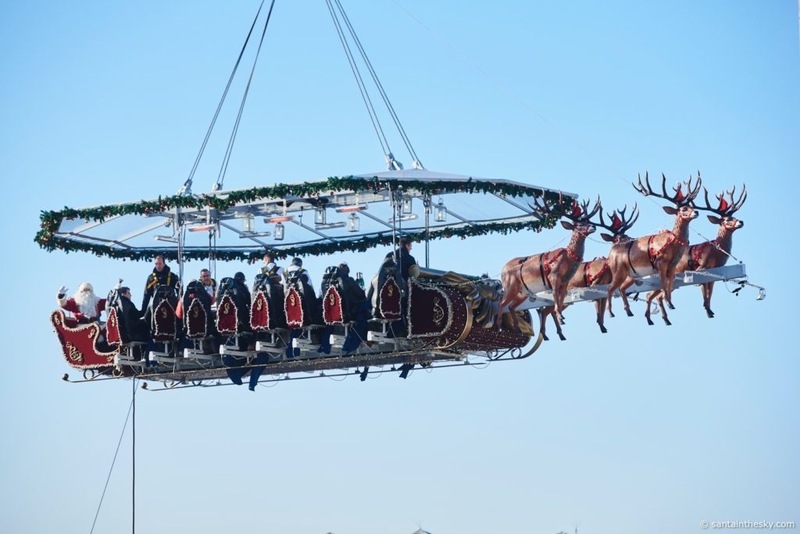 Around Christmas time, the dining table transforms into Santa’s sleigh, headed by four reindeer for Santa in the Sky. You can even get married in the sky and have your reception 50-metres off the ground. Events in the sky are approved by the Australian Safety Standards. There is no age restriction, however, kids must be a minimum height of 1.2 metres to sit securely in their seat. What happens if you need to pee? Diners are advised to use the restroom before they get off the ground but if you simply can’t hold it, you can let the waiter know and they’ll happily take the table down for a toilet break. The whole process apparently only takes a few minutes. Locations: Dinner in the Sky travels all over the globe. Visit the website to find an event near you. If you’ve ever had to wait a while for your food to come out at a restaurant, I can guarantee someone has come out with this classic line – “What are they doing, catching the fish?” It’s a classic Dad joke, but at Zauo, they flip the script. 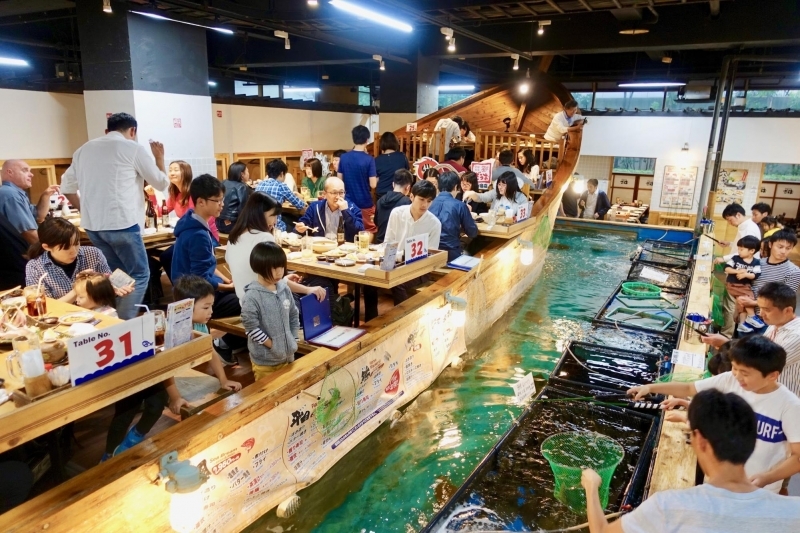 This seafood restaurant in Tokyo makes you catch your own dinner. You’re seated at a table, handed a rod and told to go and catch whatever you can. 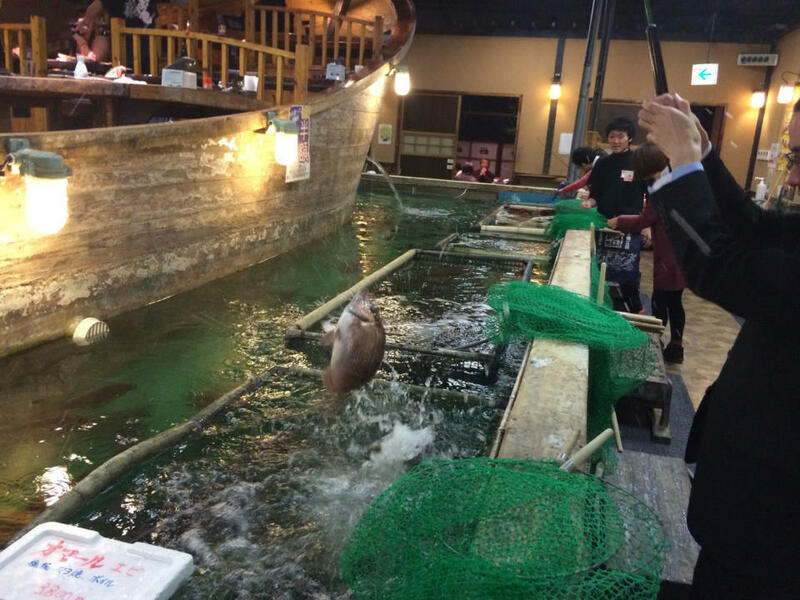 The moat in the centre of the restaurant is teeming with fish, but it can sometimes take a while to hook something. You’ll have a shot at catching everything from huge lobsters to tiny scorpion fish. One thing to keep in mind is the main house rule – you catch it, you buy it. The bigger the fish, the bigger your bill will be at the end. Once you’ve caught your dinner, it’s grilled and seasoned with salt and lemon to ensure the flavour of the fish is most prominent. If you can’t manage to hook anything, you can order straight off the menu. Location: The original Zauo is in Shinjuku-ku, Tokyo near Tochomae Station (Odeo line). Multiple others can be found in the Tokai, Kansai, Kyushu and Kanto regions of Japan. One even opened up in New York recently. 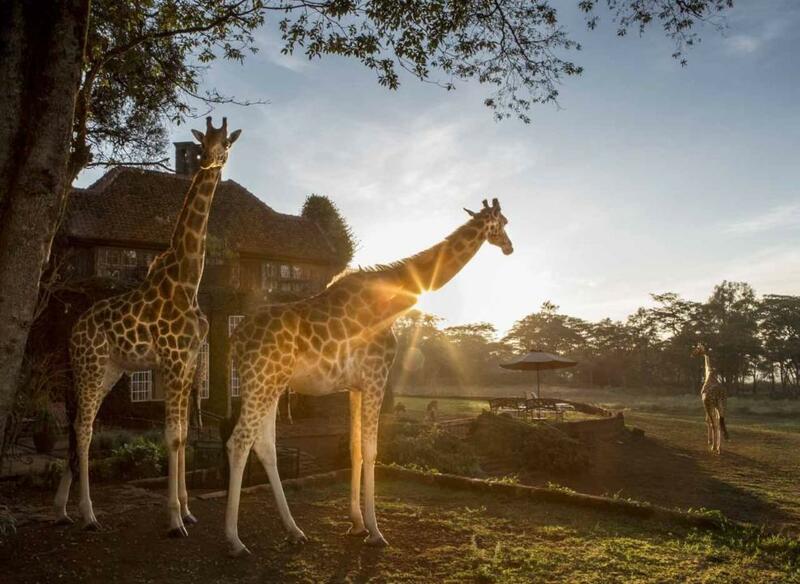 Giraffe Manor is an exclusive boutique hotel in a 140-acre indigenous forest in Nairobi. The building itself is remarkable; picture a royal British residence plonked in the middle of a sub-Saharan national park. The white-panelled floor to ceiling windows are so gorgeous that each morning, a herd of resident giraffes stick their heads in to admire the craftsmanship. Or maybe they’re just after a nibble of whatever’s on your plate. Breakfast with the Giraffes is an essential part of the experience. Although, you can also enjoy afternoon tea which is much more relaxed. Giraffe visits aren’t guaranteed because the animals are free roaming, but you can bet they’ll be swinging by for their daily bucket of hay. The privately-owned grounds surrounding Giraffe Manor are used as a sanctuary for wildlife so you’ll find all kinds of friendly creatures including warthogs and buffalo. Unfortunately, Giraffe Manor is not open to the public. 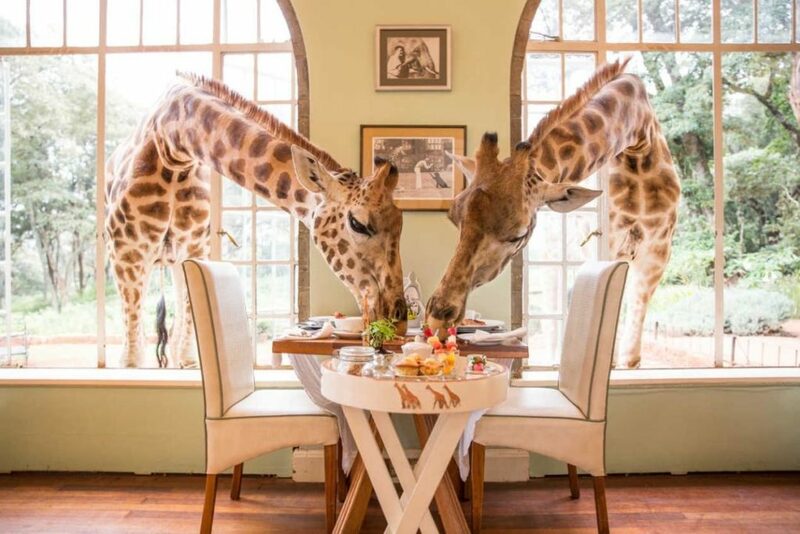 Only guests of the hotel can enjoy breakfast with the giraffes. 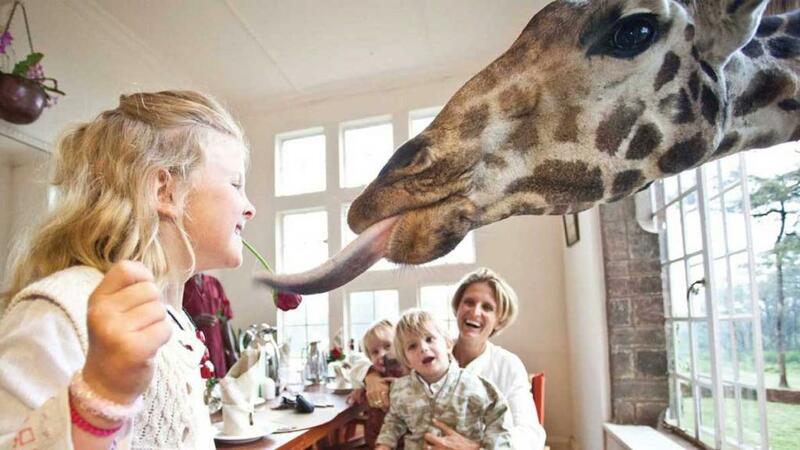 Kids are welcome to stay at giraffe manor with children under 11 receiving a nifty discount. You’ll need it because it’s not exactly a budget experience. Rates start from $1100 per night but most of the reviews say it’s worth every penny. This is an all-inclusive rate so meals, drinks and transfers are covered. Hot tip: You’ll want to take your shoes and socks off at the door for this one. Feel the spray of a gushing waterfall as you slurp up your noodles. 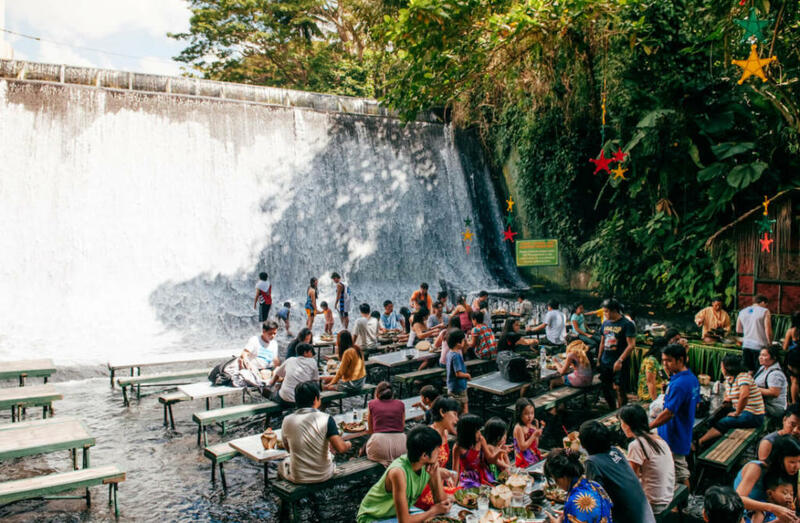 The Labassin Waterfall Restaurant lets you sit at a bamboo table in the middle of a shallow river, just metres from the base of an artificial waterfall. 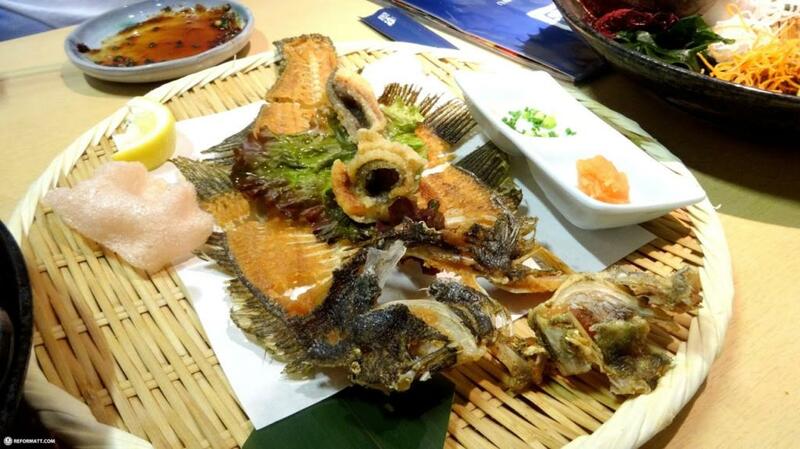 The buffet-style eatery has a range of traditional fish, chicken, rice and fruit dishes, served on banana leaves. 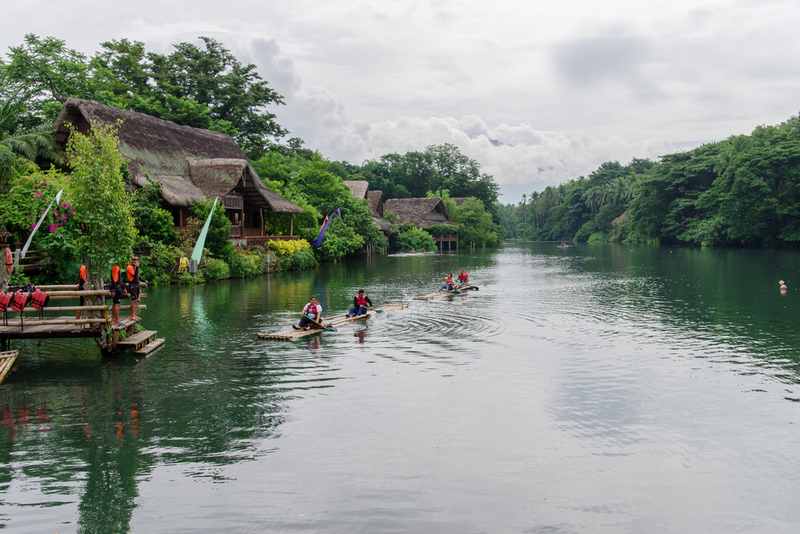 The restaurant is inside the Villa Escudero resort plantation. 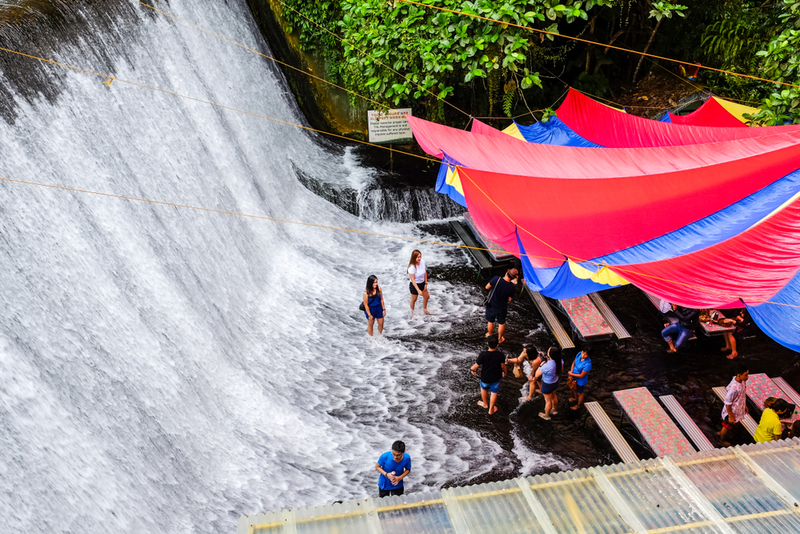 The water is actually runoff from the nearby Labasin Dam, the Philippines’ first hydroelectric plant. Apart from the obvious spectacle, diners are often treated to live performances. The surrounding area is also popular amongst active families, with plenty of hiking trails to explore the jungle. 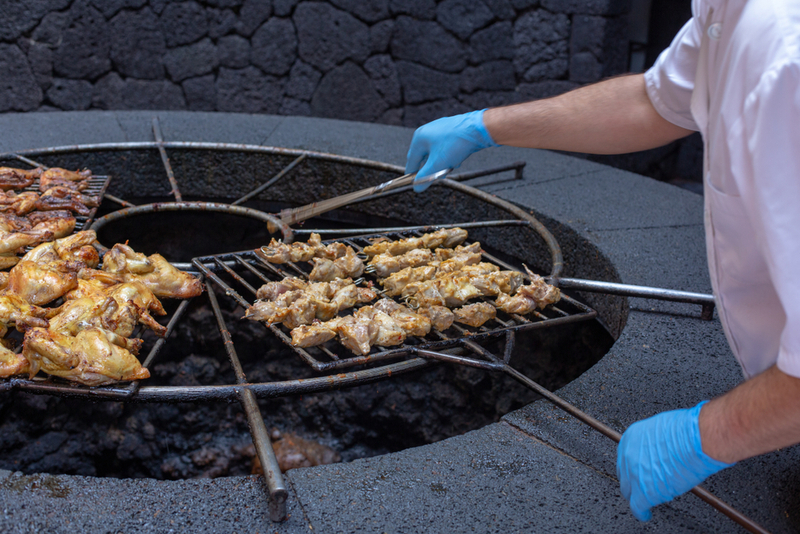 In the Canary Islands of Spain, one restaurant has decided to do away with the oven and take a more natural approach. The chefs at El Diablo Restaurant use a centuries-old cooking technique involving very long tongs, a cast iron grill and an active volcano. What could possibly go wrong? 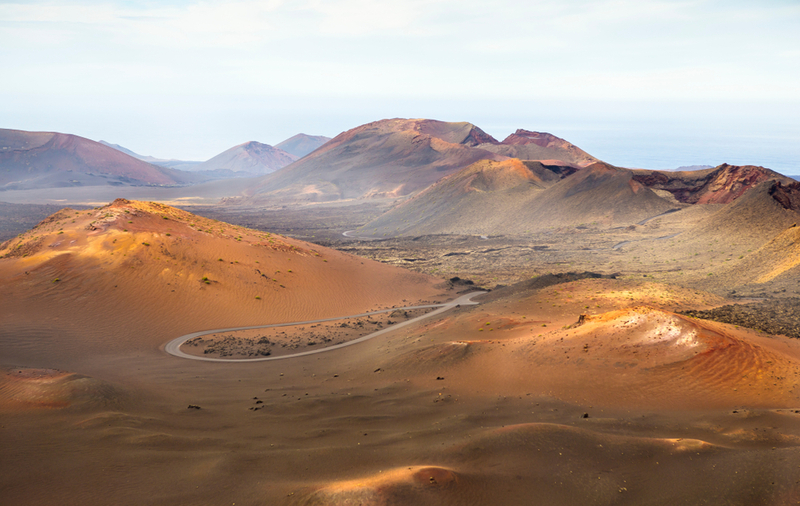 El Diablo sits in the centre of Timanfaya National Park. 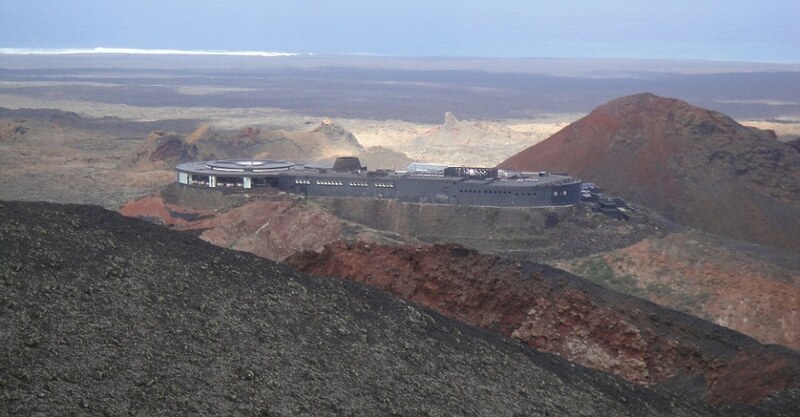 The glass-walled restaurant offers panoramic views of the surrounding volcanic landscape. With more than 100 volcanoes in the area, the setting is truly otherworldly. Note: According to reviews, the food won’t exactly blow you away but the experience is worth the price. People with quick reflexes and a good handle on their chopsticks will love Hirobun. Others may go hungry. 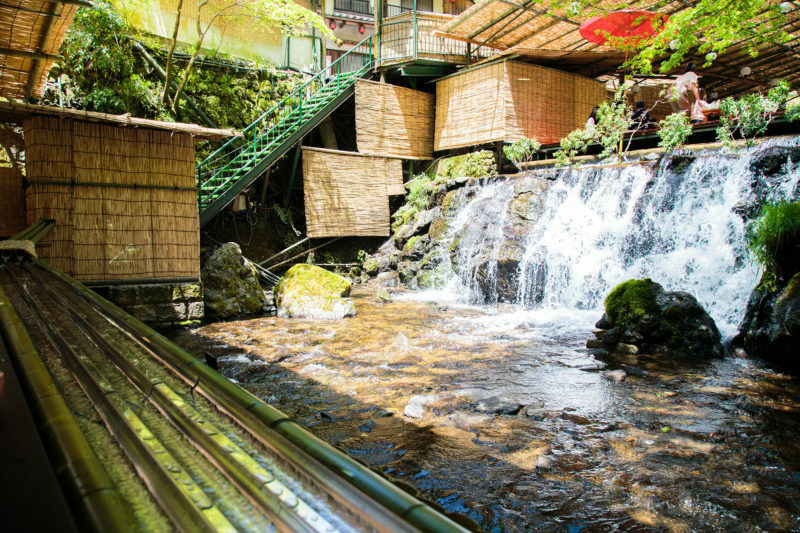 This tiny Japanese eatery is tucked away in the mountains near the town of Kibune. The house speciality is Nagashi Somen; a type of soba noodle. In the usual soba style, it’s served cold, but the delivery method is rather unusual. Diners sit along a bench, overlooking the river. 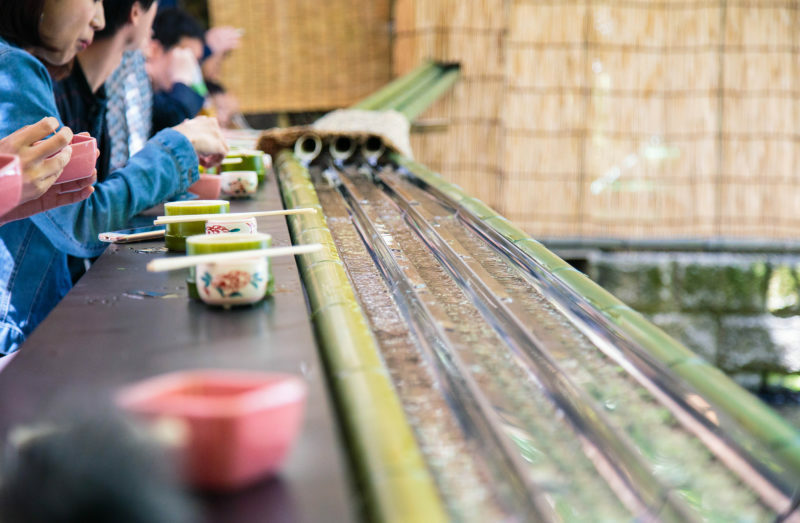 In front of them, a long, open bamboo shoot flows with cool water. 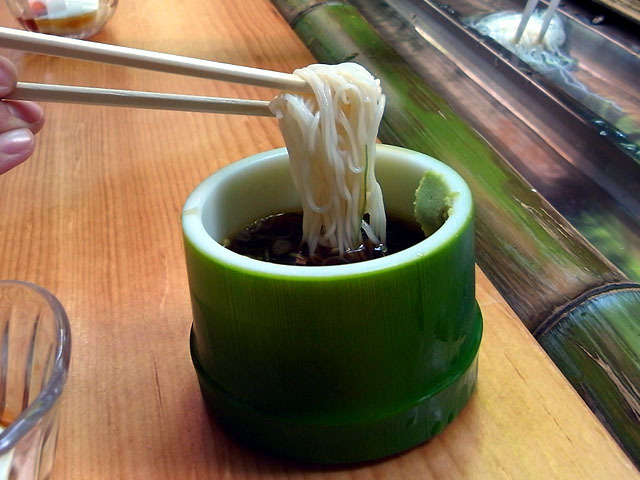 Without warning, clumps of Nagashi Somen noodles shoot down the bamboo pipe. You’d better be quick, otherwise, the noodles will disappear down the shoot at the end. If you manage to catch some, it’s quite a simple dish. You’re given a bowl of dipping sauce to flavour your noodles, but that’s it. No frills, just fun. Each session lasts around 15 minutes. When the noodles (which are usually white) start to come out red, it means it’s almost time to clear out. The restaurant only seats 8 diners at a time so prepare to queue for a while. Location: Hirobun is deep in the mountains. You’ll have to get the train on the Kurama Line to Kibunguchi, then catch a local bus to Kibune. It’s an 800-metre walk to the restaurant from there.